DUOTONE Super Hero ᐅ Your best wave sail for any condition! No more trial and error when trying to find the best vario top setting. Even when first rigging up, the correct length of the vario top is found straight away. Clear length indicators mark out the perfect setting with reference to the mast length used, eliminating any need for testing or re-adjustments. Improved sail control at higher winds. 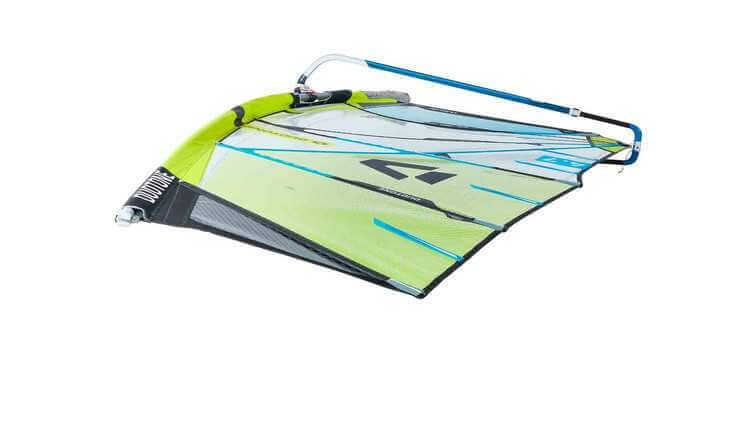 Designer Kai Hopf originally designed the TT TOP for the WARP. The reduced, concave shape improves tension conditions for a more effective, three-dimensional top twist. This means the top twists not only horizontally, but also vertically under strong winds. By completely neutralising gusts of wind, the rig is kept steady in the rider’s hands, and thus works in a much larger range of winds. An inconspicuous detail with a massive impact. iROCKET 2.0 batten tensioners are super-lightweight, aerodynamic and highly stable, consisting of high-quality components such as a self-lubricating, salt-water-resistant brass nut with stainless-steel screw which can withstand all batten tensions. 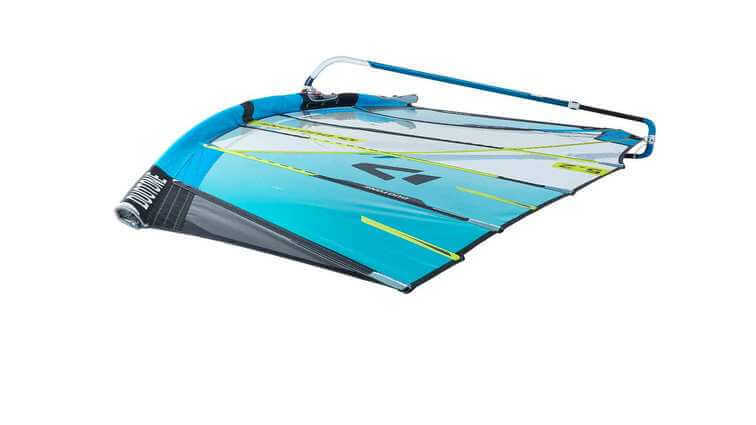 Furthermore, the iROCKET 2.0 is an essential component for a true windsurfing revolution. 100% correct batten tension, correctly adjusted when purchased and forever after. We calibrate each individual batten at the factory according to development specifications. And we don’t just leave it up to blind intuition either – all battens are adjusted to 100% accuracy using torque wrenches. We also apply soluble screw adhesive to the locknuts so that the tension cannot be altered. This means that the batten tension remains absolutely correct and will never have to be adjusted again. The batten key included with the sail is therefore only needed for fine tuning or in the unlikely event of a batten breakage. These prevent unwanted leech flutter. Short and highly effective mini-battens which provide support for the areas between the battens and prevent undesirable flutter. Extremely stable, extremely break-resistant. Depending on the range of use, positioning in the sail and the necessary tension, the batten stress is enormous. In order to prevent breakages, we only fit into all solid battens extremely durable epoxy laminates which really can withstand anything and can live up to DUOTONE’s promises in terms of longevity. What would you prefer? Maximum puncture resistance and UV weathering resistance with minimal stretch? Or (theoretically) improved ripstop properties? We went with option A and developed the most durable laminate on the market. Because the factors of puncture resistance, durability and stretch evidently depend only on the thickness of the film used, we use only 150 or 100 micron thick films for our exclusive XPLY PLUS. In an extensive series of tests, we have developed the ideal combination of necessary film thickness and number of threads. The X.PLY PLUS in particular, at 150 microns in thickness, boasts durability characteristics far in excess of previous laminates at minimal weight. This is also acknowledged by all the big surfing centres and rental equipment providers around the world, who place their trust in the unbeatable quality and longevity of our sails. Double the durability with half as much stretch. 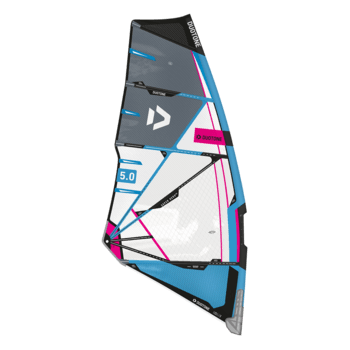 DUOTONE manufactures products of unmatched quality which gives our sails a significantly longer lifetime. A key feature which helps to achieve this is the triple-stitch zig-zag seams. Unlike other products with their single-seam design, these are double-seam. They cover all exposed crash areas, which increases tear resistance and reduces bending-elongation by up to 50%, boosting profile stability and performance. Guaranteed quality – no other brand offers anything close to it. Keeping weight to a minimum is a great idea. But if necessary reinforcements are reduced too much, the product’s service life will automatically get shorter. DUOTONE has struck the perfect balance between weight and durability. 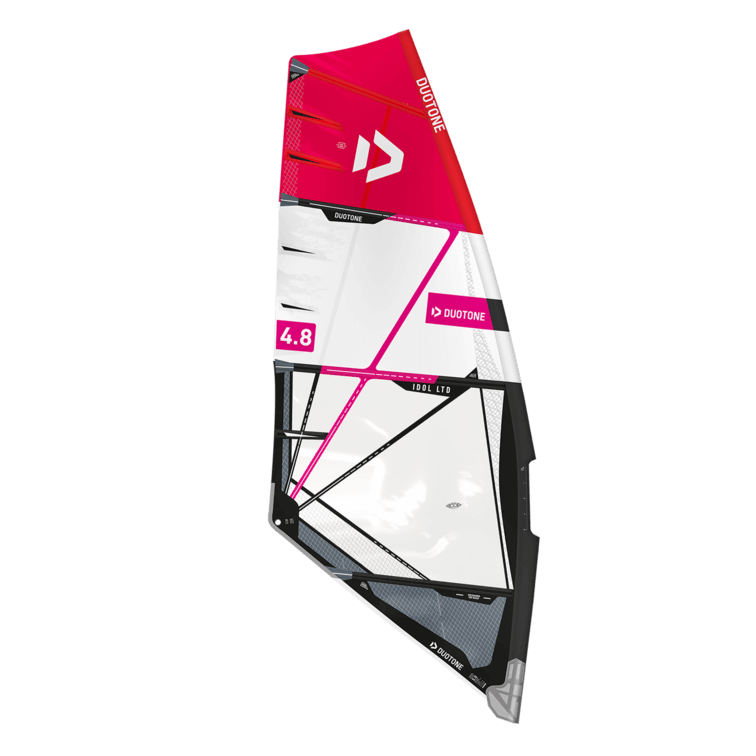 To prove our dedication to ensuring durability and unique quality, almost all of our sails come with a 2+3 year warranty (excluding monofilm). To secure warranty claims fully, please remember to register at www.duotonesports.com straight after your purchase. Otherwise, only statutory warranty claims will be accepted. This is valid only for original owners. Frictionless insertion of the mast into the luff sleeve. An ingenious solution does away with the tedium of inserting the mast. The DUOTONE logo above the boom cutout gently opens the sleeve so that the mast can be threaded with one hand into the luff friction-free, without having to constantly make adjustments to the luff. Extremely stable luff reinforcement. 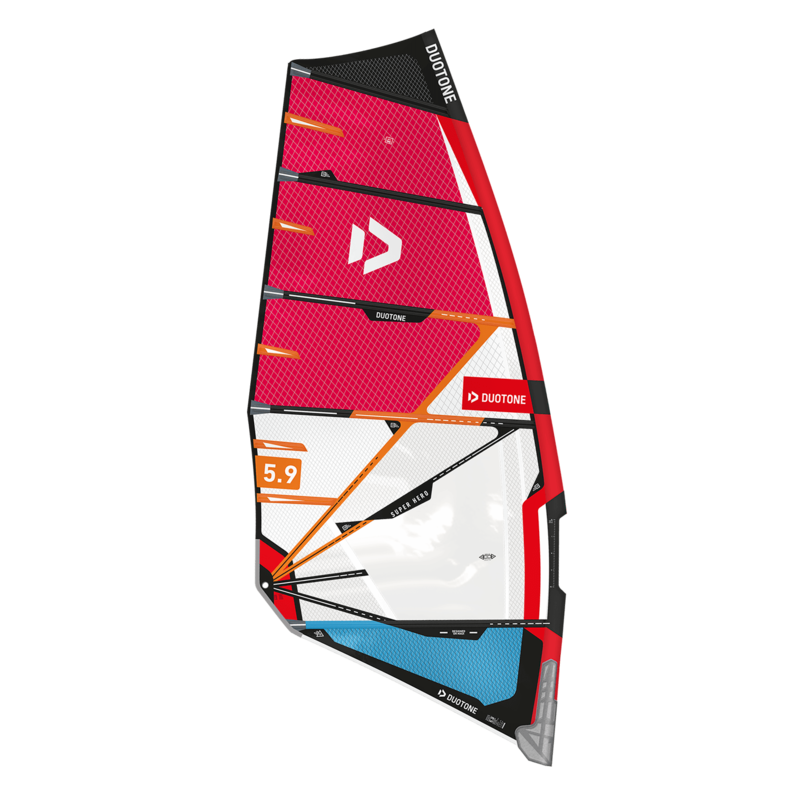 The area around the boom cutout is exposed to extreme wear and tear as the luff panel gets folded when inserting and pulling out the mast. This “accordion effect” can lead to tears in the monofilm after a while. The flexible DURA LUFF PATCH reinforces this area making for a soft transition into the monofilm to avoid film breakage. A real innovation that offers additional value is the new iBUMPER 2.0, since in addition to its function as a lightweight and reliable mast protector it is also useful as a trimming tool. After stretching on a new sail, the best indicator for optimum trim is the position of the mast end at the height of the protector. For this reason, the new iBUMPER 2.0 now has a vinyl viewing window so that the lower edge of the mast can be identified. Once the perfect trim has been found, the optional Velcro patch can be used to “save” this position – saving time and ensuring maximum performance. Eliminating stretch and loss of tension. If it’s good enough for safety harnesses, it’s good enough for windsurfers! We are the only manufacturer to use only polyester webbing for the (vario) top and the tack roller. This advantage of this compared to conventional polypropylene is the negligible amount of stretch. As a result even brand new sails will retain full luff tension and will not need subsequent trimming. Optimised pull. On regular top caps and pin systems the webbing is connected in a “one-dimensional” way with the sail body (either side to side or front to back), which transfers the downhaul tension only in certain points. 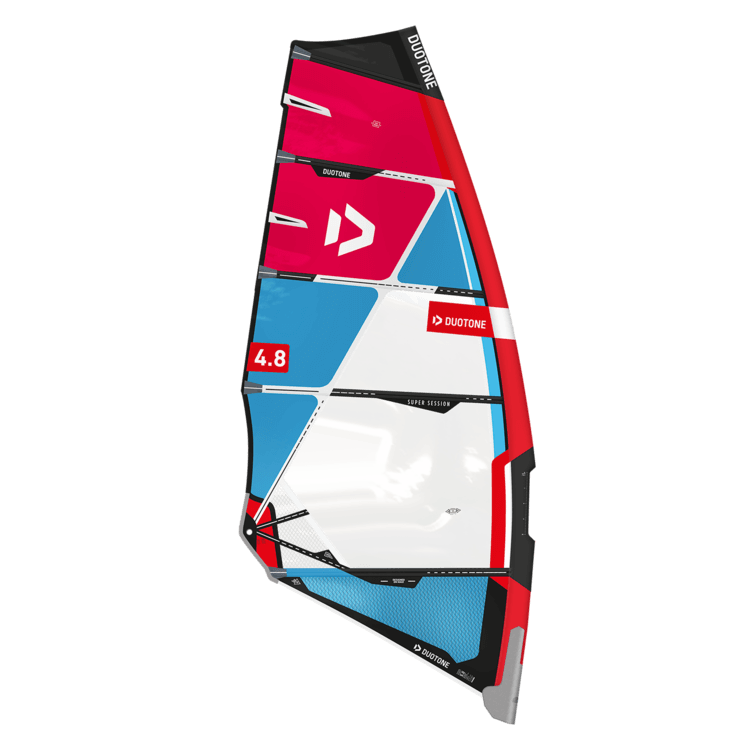 The 3D TOP CAP allows a “three-dimensional” and very widespread transition of the downhaul forces into the sail body. This eliminates top fluttering and ensures a progressive loose leech extending the wind range. The integrated abrasion ribs eliminate the need for heavy, bulky reinforcements at the end of the luff sleeve. Inspired by high-strength climbing harnesses and Formula 1 helmets. The exclusive, two-part metal double-D buckle on the vario top, which replaces traditional solutions. 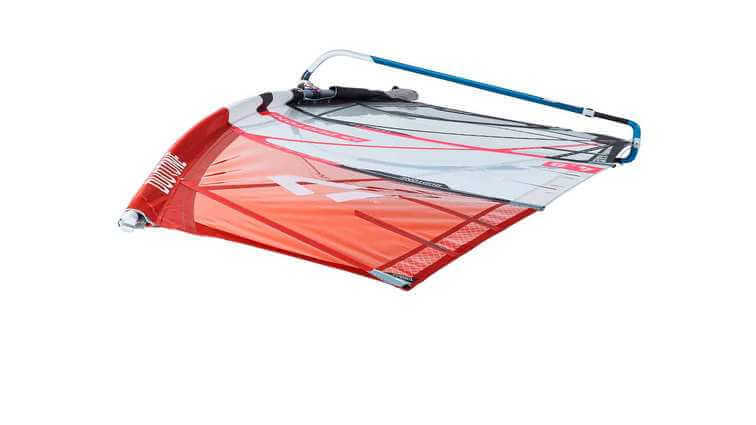 This design guarantees the best trimming characteristics and eliminates all webbing slippage. The correct boom length without the need for trial and error. Because the boom is attached to the mast at different heights depending on body size, and because this creates a different angle to the mast, the boom length will vary. Specific recommendations for the correct length are printed directly on the luff sleeve at the boom level. Long-term guarantee for the sail foot. When starting off on the water or catching up, the foot of the sail is constantly dragged over the nonslip coating, particularly for wide boards. With the exclusive DURATECH FOOT, the seams are completely protected within a large plastic channel so that the surface cannot chafe against seams and material. Perfect trim and a huge range of use. 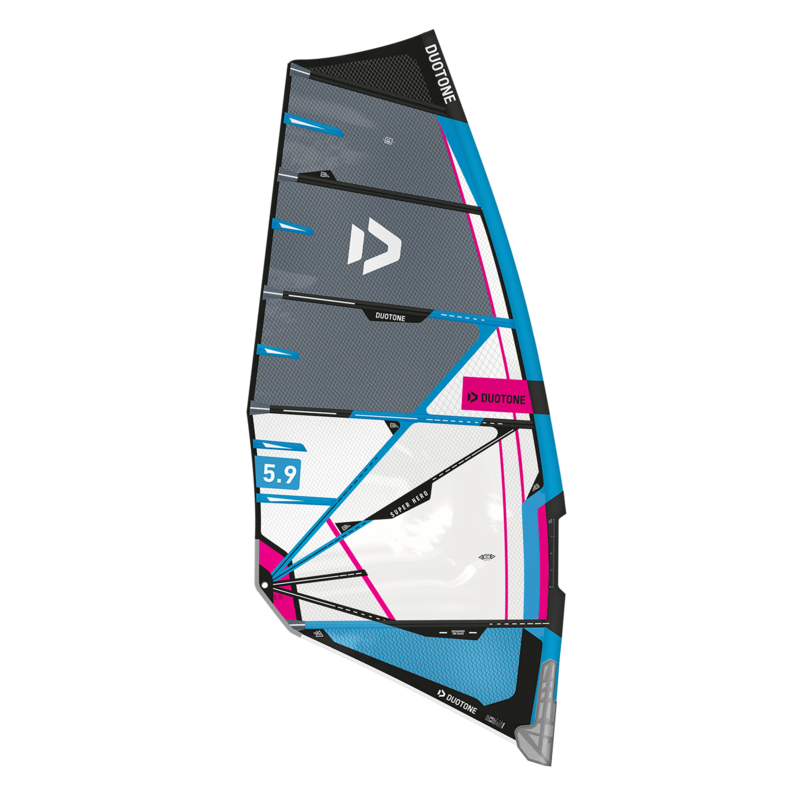 You won’t find a quicker or more accurate way of trimming your sail. Even beginners can trim the sail in a matter of seconds to 100% accuracy. All you need to do is pull the luff until the top of the loose leech reaches the “lower wind limit” or “upper wind limit”. The VTS acts as a power boost, ensuring maximum performance and broader range of use. Never position your harness lines incorrectly again. Do away with the tedium of adjusting to the optimum rope position, as well as the numb forearms and the endless fiddling around. 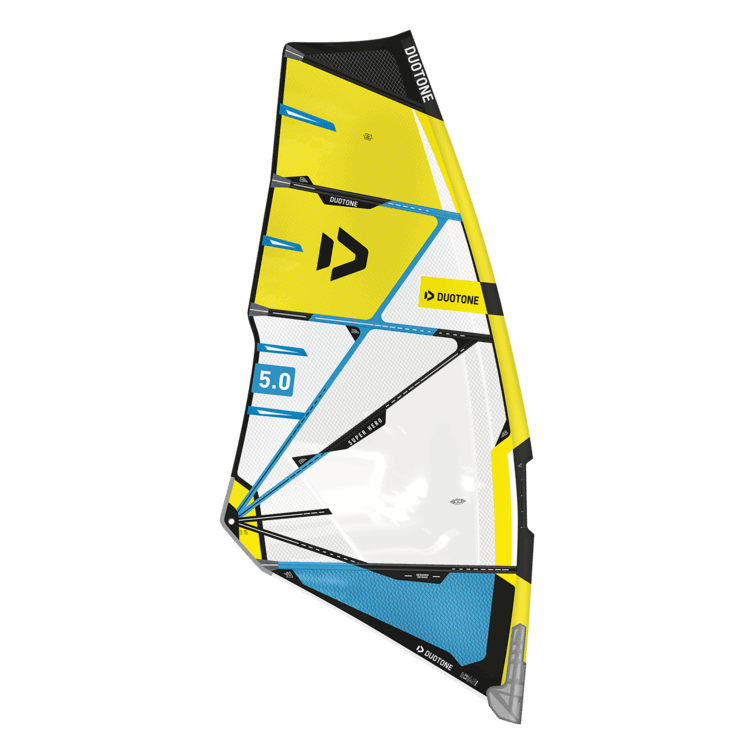 The patented print on the sail shows exactly where the centre of the harness line has to be. All you need to do is position the two ends symmetrically at the left and right of the print. Find the perfect trim with minimal effort. The integrated, nickel-plated brass triple roller minimizes the downhaul forces tremendously. 30% higher ripstop strength in the critical foot area. We have developed the TRI PLY PLUS 150 specifically for highly stressed foot areas used by intermediate riders and also in wave and Bump&Jump sails. It consists of two layers of thicker monofilm and a third thread, which together form an extremely durable polyester film/thread construction. WANNA EXTEND YOUR 2 YEAR WARRANTY BY ANOTHER 3 YEARS? TO SECURE THE EXTENDED CLAIMS PLEASE REGISTER WITHIN 30 DAYS. OTHERWISE JUST THE LEGAL WARRANTY PERIOD CAN BE GRANTED!